Goth metal fans, get ready for your must-see concert of the year. HIM, after 26 years on the road, have decided that the time has come for their majestic life to finally come to an end. 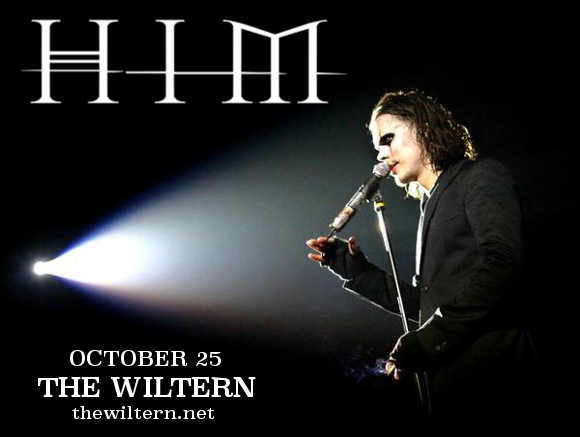 In 2017, HIM are giving fans one last chance to see the band that brought you “Killing Loneliness,” live. The Finnish metal legends’ “Farewell,” tour will bring them to The Wiltern on Wednesday 25th October 2017! This will be one of the last shows HIM ever play – make sure you’re there to say goodbye!! Click the “Buy Tickets,” button above to purchase tickets, but hurry – the farewell tour is expected to sell out fast! !